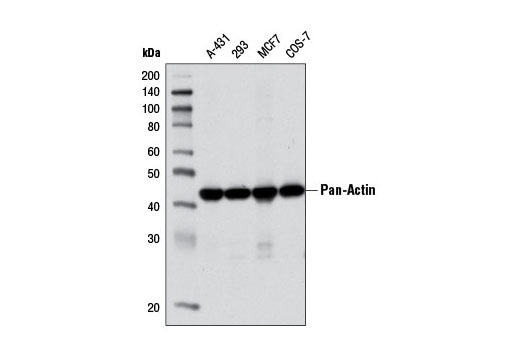 Western blot analysis of extracts from various cell lines using Pan-Actin (D18C11) Rabbit mAb. 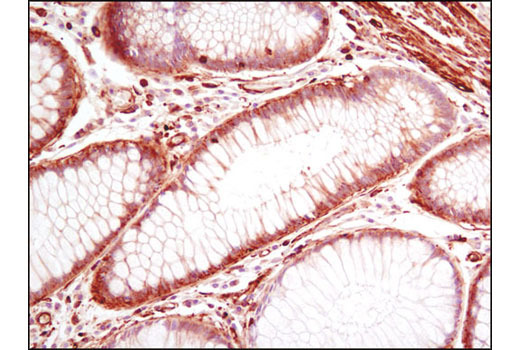 Immunohistochemical analysis of paraffin-embedded human colon carcinoma using Pan-Actin (D18C11) Rabbit mAb. 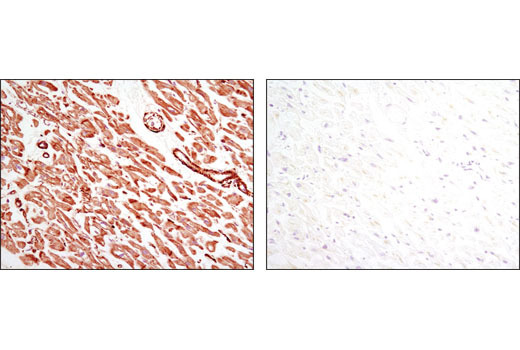 Immunohistochemical analysis of paraffin-embedded human heart using Pan-Actin (D18C11) Rabbit mAb in the presence of control peptide (left) or antigen-specific peptide (right). 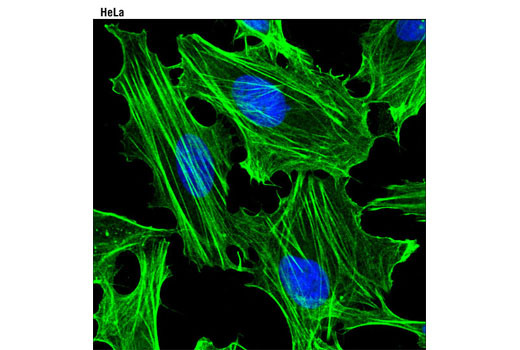 Confocal immunofluorescent analysis of HeLa cells using Pan-Actin (D18C11) Rabbit mAb (green). Blue pseudocolor = DRAQ5® #4084 (fluorescent DNA dye). Pan-Actin (D18C11) Rabbit mAb recognizes endogenous levels of total actin protein (all isoforms). Monoclonal antibody is produced by immunizing animals with a synthetic peptide corresponding to residues near the carboxy terminus of human β-actin protein.